Pisgah National Forest is the ideal amphitheater for nature’s music. But come summer, the historic hamlet next door erupts in symphonies as gorgeous as waterfalls, and old-time jams as rousing as mountain trails. photograph by Platt Architecture, P.A. Beethoven once said that he liked the company of trees more than people. He attributed his best compositions to the rambles he took in the forested valleys outside Vienna. Mozart’s favorite place to compose was an open garden. And Mahler, who put alpine cowbells into his symphonies, was a dedicated hiker. So many of the great composers were nature lovers. A sudden rainstorm, a blooming meadow, a deer chase — these inspirations are preserved, like auditory artifacts, in their music. And yet, classical music is too often played only inside, behind walls and doors, closed off from its source. Which is why stumbling upon Brevard in the summer is such a delightful surprise. Music is set free all over this mountain town: in the courthouse gazebo, in the public library and churches, in restaurants and breweries, and throughout the 180-acre rustic campus of the Brevard Music Center (BMC). The population of this Transylvania County seat nearly doubles throughout BMC’s seven-week camp and festival, with more than 80 concerts, many of them free to the public. Students come from all over the country to study and perform with world-renowned musicians, and neighbors soak it all in from their porches. At first it may seem odd to see trombone players on the pond dock, or a violinist practicing on a stump. But after a while, the sight of someone lugging a tuba up a wooded trail starts to seem, well, only natural. 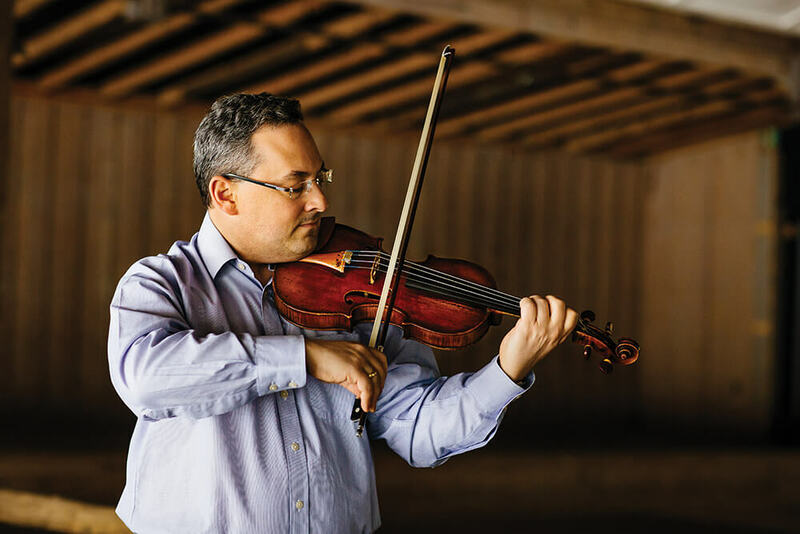 “There’s nothing more inspiring than playing Mahler and having birds become part of the music,” says violinist Jason Posnock, director of artistic planning and educational programming at BMC and concertmaster of the Asheville Symphony Orchestra. Not all birds, mind you: Interruptions from geese became such a problem that a dog was brought in to herd them. That is, until the dog became more disruptive than the geese. Stumbling upon Brevard in the summer is such a delightful surprise. Music is set free all over this mountain town. Every summer as a child, Lockhart spent weeks at his grandparents’ house in Brevard. 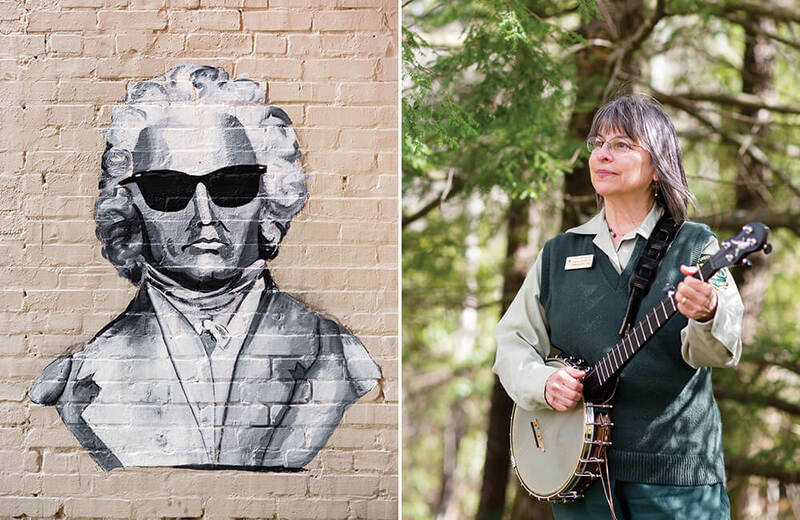 Hiking around Mount Mitchell, flying down Sliding Rock — “I remember being cold like I’d never been cold before,” he says — and eating Sunday dinners at the Pisgah Inn are memories as vivid as the night he first heard Shostakovich’s Fifth Symphony on the BMC lawn. Two summers as a piano and clarinet student at the camp sealed his professional fate. And when his parents retired and moved to Brevard, his roots spread deeper into a community he compares to the legendary Brigadoon. 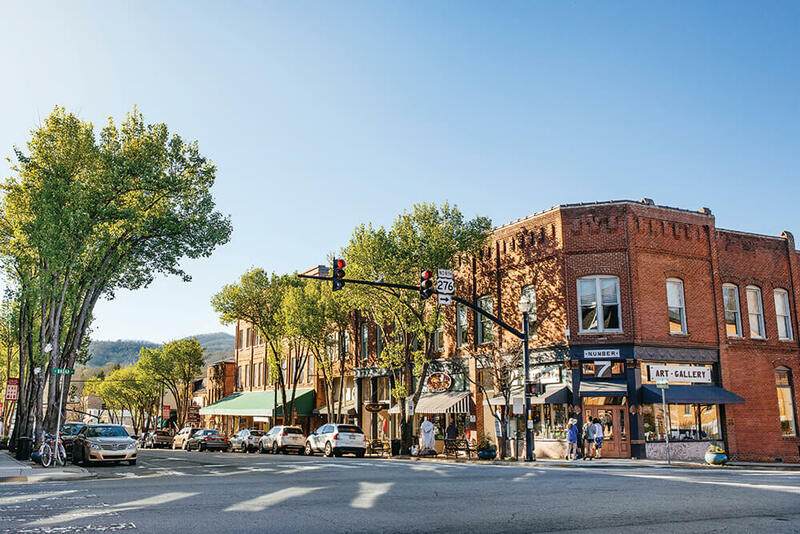 Downtown hums with new shops, galleries, and restaurants. People do come back. The town is as much an incubator for young musicians as it is for future residents. It’s impossibly lovely, flanked by two forests: DuPont and Pisgah. The tidy downtown, with its soda shop, gemstone souvenirs, quirky toy store, and bakeries, now has coffee shops, restaurants, galleries, and even a chocolatier. 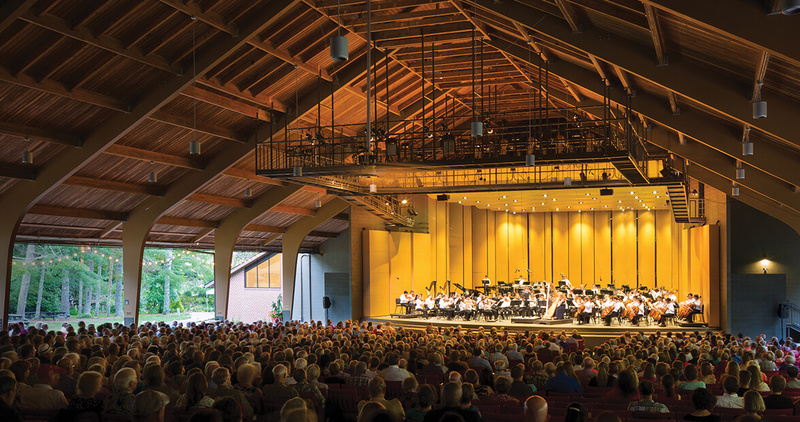 Eight years ago, Linda Threatte, a flutist for the Florida Symphony, and her husband, a composer, moved to the town they knew only as campers in the ’50s. 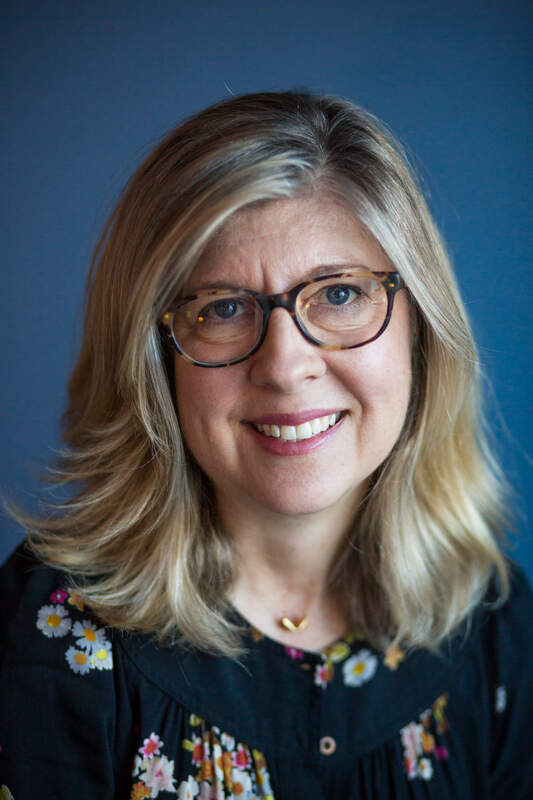 The BMC camp, which was founded in 1936, drew promising young musicians like Linda, her cellist sister, and her future husband, then a lanky trombone player. Now 72, Threatte performs with the Brevard Community Band and the Brevard Philharmonic, as do other former campers. “But 40 years later, we don’t always recognize each other,” she says. Corkscrew along the Pisgah Highway, past the thundering downpour of Looking Glass Falls, past giddy kids spilling out of minivans at Sliding Rock, past the chorus of tree frogs, to the woodland amphitheater at the Cradle of Forestry. Here, musicians play the old-time music that was born in hills and hollows. No less inspired by mountains and seasons than classical music, this, too, is Brevard music. Bluegrass musicians are taken with Brevard, too. Steve Martin (yes, that Steve Martin), who plays banjo with the Steep Canyon Rangers, bought a house in the area, and has performed at the White Squirrel Festival in May and the Mountain Song Festival in September. But, really, a mandolin-and-banjo set can be found almost any time of year in Brevard. The Cradle of Forestry’s concert series is special, though, because it takes place in the natural habitat of mountain music. And it’s important historically as the location of the first forestry school in North America. In 1898, George Vanderbilt hired a German forester, Dr. Carl Schenck, to manage Biltmore Estate lands, including 6,500 acres in Pisgah used for logging. Locals were furious when they found out that the land they’d hunted and fished for generations was suddenly subject to restrictions. So Schenck invited his neighbors to church on the grounds of the forestry school. He learned their hymns and ballads, and even bought a Montgomery Ward organ for the services. A revamped 1908 lumber warehouse on King Street takes center stage in Brevard’s new Arts District. 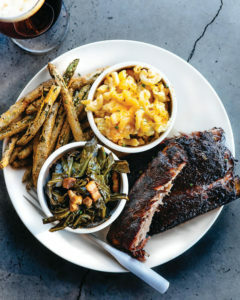 Last year, two young couples with decades of culinary experience between them launched this salute to the Southern plate. Now there’s a line at the door. Airy and warm, with wooden tables and watercolor paintings, the space is simple so that the six meats, eight sides, and extras — from boiled peanuts to buttermilk pie — can really shine. If there’s one thing Brevard loves as much as music, it’s their famous biking trails. Also: craft beer. Combining both passions into one business isn’t a stretch in a town surrounded by hundreds of miles of forested paths. From smooth road cycling to harrowing off-road riding, there’s a perfect adventure (and beverage) for everyone. The Brevard outpost of a prestigious Asheville gallery shows paintings, photography, and sculpture. Owner Chris Foley rediscovered a local artist, Larry Gray, when he admired one of Gray’s paintings hanging at Bracken Mountain Bakery downtown. The bakery paid Gray in a lifetime supply of coffee and pastries — quite a deal.